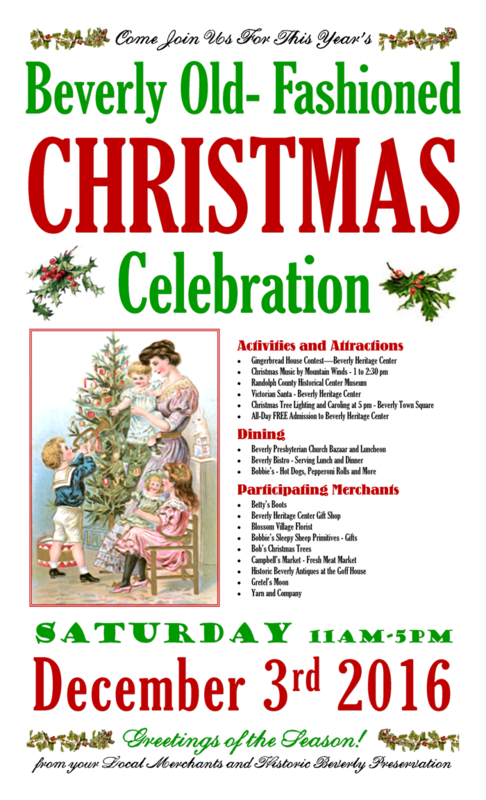 Enjoy stepping back in time in a historic town to celebrate the season at Beverly Old Fashioned Christmas. Join in the day’s activities and holiday shopping on Saturday, December 3rd from 10 a.m. to 5 p.m.
Joan Pitts, a member of the Board of Directors and one of the coordinators of this year’s event, is very excited to announce the second year of the Gingerbread House contest. 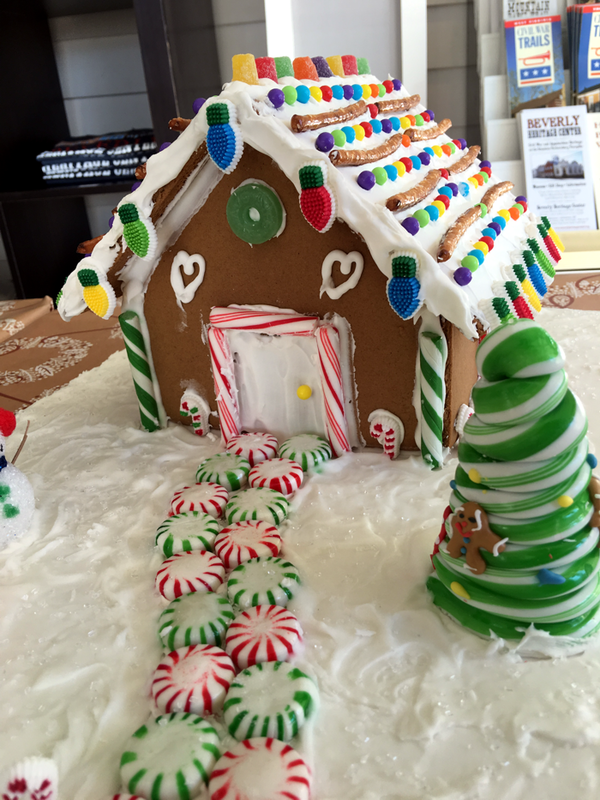 “Last year we enjoyed the Gingerbread House contest so well that we decided to expand it. This year it is open to adults as well as children. 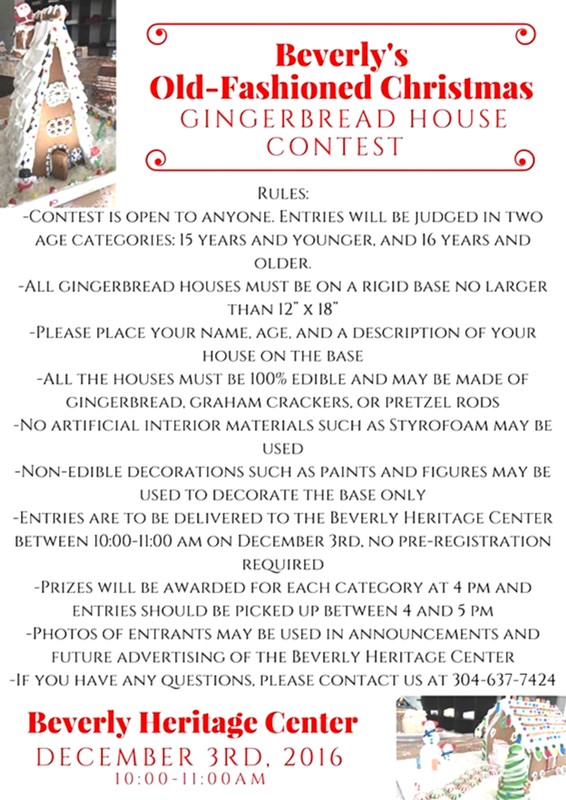 There will be prizes and ribbons in two categories, one for children under fifteen and another for ages sixteen and above.” Guidelines for entering the contest are available on the Beverly Heritage Center web site and Facebook page or by calling the Heritage Center. Admission to the Beverly Heritage Center is free for the day and visitors will be able to tour the museum and browse its expanded gift shop of souvenirs, books, media and crafts. Children will have the opportunity to create a Yule log bird seed tree ornament, guided by volunteer Linda Tracy. Beverly's Victorian Santa will greet children at a number of the shops and attractions through town. The Randolph County Museum will also be open to visitors. In keeping with the historic theme and holiday spirit, the Beverly Heritage Center will host the Mountain Winds trio of Richard Evans, Morris Kittle and Linda Wolfersheim from 1 to 2:30 p.m. The Beverly Presbyterian Church will host its popular annual Holiday Bazaar and luncheon between 10 a.m. and 2 p.m. The luncheon includes homemade soups, sandwiches, salads and desserts, and baked goods and bazaar items will be sold. The Beverly Bistro will be celebrating its two year anniversary all during the weekend and will be open for lunch and dinner. Music is scheduled for the evening hours. Bobbie’s offers a selection of sandwiches, pepperoni rolls, salads, and homemade goodies. Beverly is home to a variety of shops that give visitors a chance to find a unique gift. Whether you are looking for decorations for your home, crafts, food items or a gift for someone special you could find it here at the shops in Beverly. Gretel’s Moon in the IOOF building offers many unique and handmade items. Blossom Village will be hosting an Open House with drawings and twenty percent off decorative items. The store will also be featuring a local weaver demonstrating her craft. And you won’t want to miss these local merchants - Historic Beverly Antiques, Campbell’s Market, Dollar General, Yarn and Company, Bob’s Trees, Betty’s Boots, and others. Old Fashioned Christmas will conclude with the lighting of the Christmas tree at 5 p.m. followed by a community carol sing-along, all taking place in the Beverly Town Square. 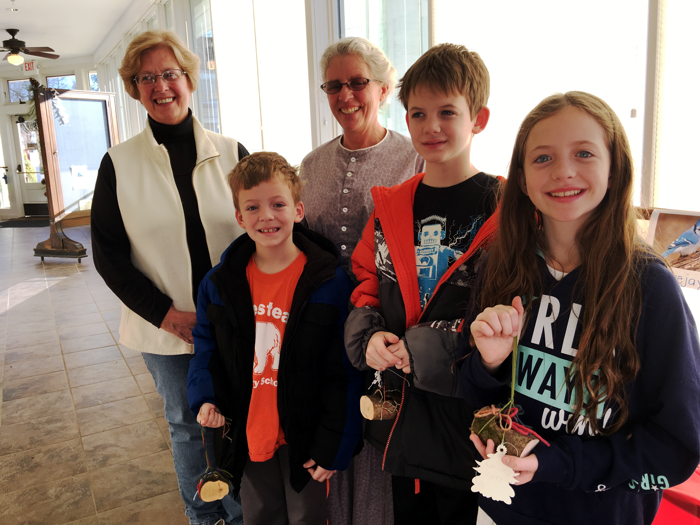 Beverly Heritage Center volunteers Carolyn Channel and Linda Tracy with three young visitors and the Yule log bird seed tree ornaments they created at last year's Old Fashioned Christmas event. This fun, free children's craft is also included in this year's activities.